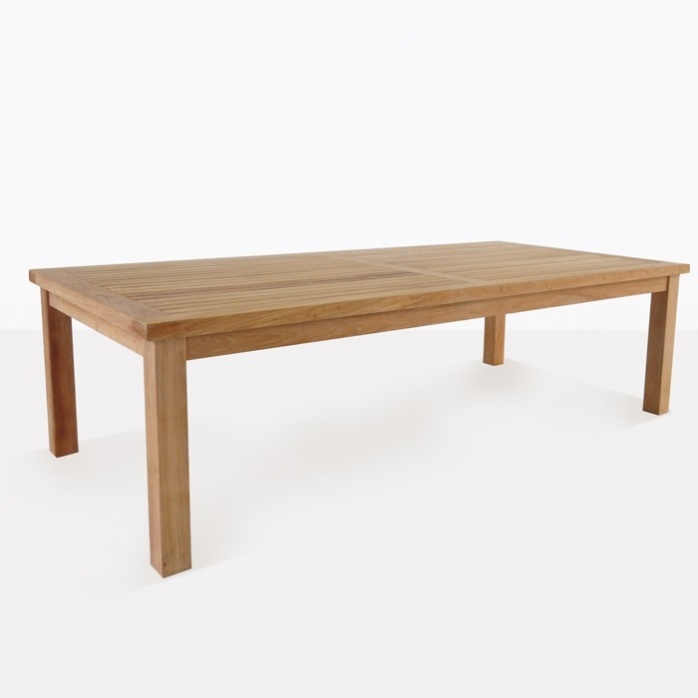 Country style is brought into focus with the classic, large Hampton Teak Outdoor Dining Tables. Whether seaside, inside or in the garden this heavy-duty Grade-A Teak outdoor dining table will make an impression on all your guests! With substantial 10cm legs, and a thick table top; this piece has a feeling of stability within its elegant design. 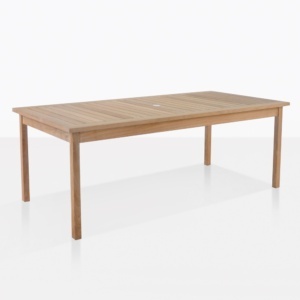 This Teak Outdoor Dining Table is available in 2 sizes. 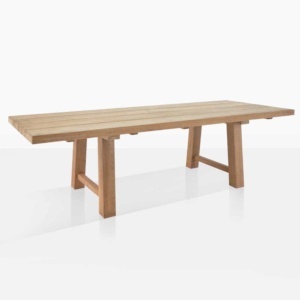 Shown here is the 200cm x 100cm Medium Hampton Outdoor Dining Table, which seats up to 8 people. 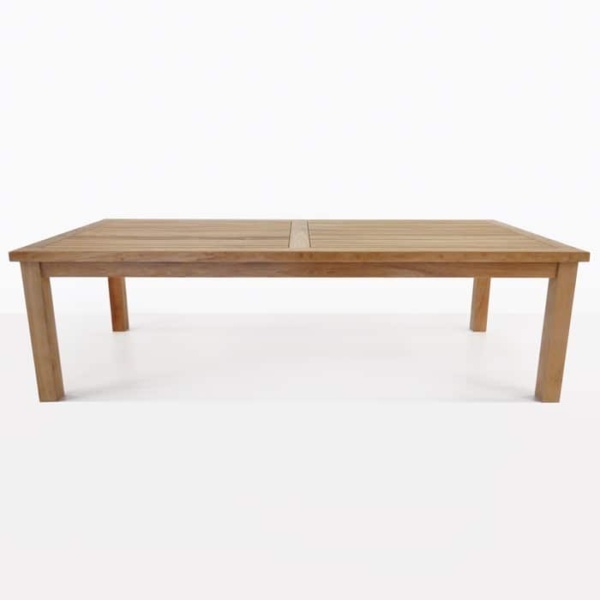 Incredibly versatile; with this teak table, you can mix and match with our teak, concrete, mesh or wicker chairs. See below to select a different size.